Sorry that I’ve been MIA for so long. Business school has been a huge shock to my system, and my new kitchen is pretty much untouched. I don’t even own a kitchen aid yet! 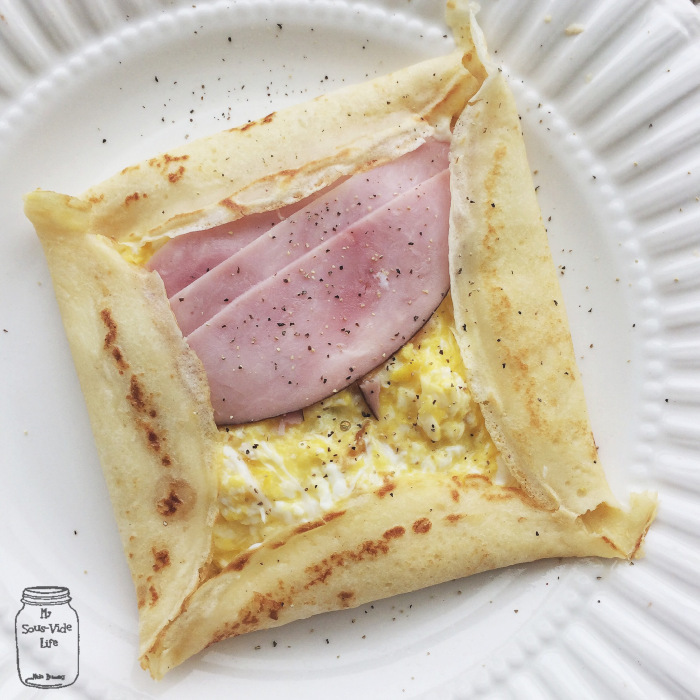 The only meal I’ve had time to make is some light breakfast here and there, so today I have a very simple crepe recipe to share with you all. You could eat it sweet with some Nutella and Icecream or savory with a fried egg or scrambled egg inside with some protein and cheese. Melt some butter in the microwave, let cool. Whisk egg, milk, water until blended. Add flour a little by little, mix until well incorporated and not lumpy. Then add butter and mix till just combined.